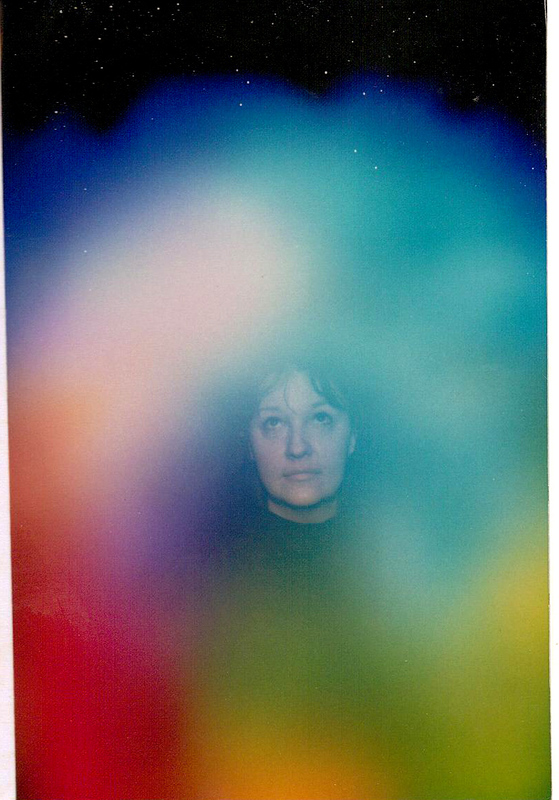 In the photo above, I told the photographer of my aura that I was going to look at the place in which I believe I get my psychic info (upper slightly right). She laughed a little that I thought something might show. Then, it did, surrounded by indigo blue (psychic third eye). "Out of the blue" I started thinking of my sister and then she called me on the phone. In the auric field (energy around the human form), indigo relates to clairvoyant/third eye/PSI and blue in its most electric color is related to people transmitting and receiving PSI information. In the practice of chromotherapy and heliotherapy (healing people with colored light exposure), blue is related to the throat chakra/speech communication, water, and astral projection. In the case of blue lights in fireworks, copper is the element that is used to produce that color. Interesting, hmm? I do believe in the past, we had some giant folks who mined copper like maniacs. Blue LED lights have been used for rapid healing in mice wounds in lab tests. In new-age practice, the blue light represents the archangel Michael. Michael, the leader of all holy angels, is in charge of the blue angel light ray. Michael is known for his exceptional strength and courage. He’s a leader who fights for good to prevail over evil. He protects and defends people who love God. People sometimes ask for Michael's help to: gain the courage they need to overcome their fears, obtain strength to resist temptations to sin and instead do what's right, and stay safe in dangerous situations. In spirituality, blue light is seen as a higher realm, higher vibration, closer to the spiritual source. Blue is associated with the westerly direction and the element of water. In the psychology of decorating, blue is often associated for people with honesty, loyalty, tranquility. The use of blue is an instant stress reducer and reminds us of sky and limitless space, in fact, the lighter the blue the more freedom and peace we feel. Some report blue lights in relation to alien grey encounters when they are "transported" into a ship. My encounters have never taken place outside of my room and the light has always been an orange red one that they arrive and depart in. If a blue light is used for transport of a human, and red-orange for the transport of an alien grey, this might help us understand more what is involved. Blue light emitted from cell phones, computer screens and TV actually makes it very hard to fall asleep. One needs to turn these devices off to allow melatonin to be released by your pineal gland - the hormone that makes you able to sleep. If you are having trouble falling asleep, turn off the devices early and allow transition. Blue light in the daytime, however, can make you quite alert and perky, almost like a cup of coffee. The power of blue light is just one of many lights in the spectrum, but when people tell you to envision a blue light, just know that they are telling you to tap into the intuitive side, the psychic side, the astral projection side.